Son of Arthur Henry Gadsdon (1883-1997), and Catherine Fuller. Married 1st (1947, Hereford) Lesley Delia Bolt; one son, one daughter. Married 2nd (1977, Westminster) Elizabeth Thompson. Married 3rd (11.01.1997, Lewes, Sussex) Dorothy Doughty. ADC to the Queen, 31.01.1954-1957. Colonel, The Worcestershire Regiment, 20.04.1950-1961. Colonel Commandant, The Parachute Regiment, 1956-1961. Greater London / Kent / London ? Son of Frederick William Hector Galliford (1887-1953), and Charlotte Mary Owens (1890?-1965). Married 1st (09.08.1941, St John's Church, Radcliffe, Lancashire; divorced) June Wakeling Taylor; one son. She remarried ((03? ).1947, Brighton district, Sussex) Colin G.M. Payne. (died 1960), eldest daughter of late Gilbert W. Don; two sons, two daughters. Married 2nd (1964) Mrs Mary Kirkwood, widow of Comdr. Deputy Lieutenant (DL), County Angus, 1946. Son of Frank Belson Gange and Nellie Gange; husband of Maud Gange. Worked briefly for the Meteorological Office before enlisting the Army. * Initially shown as: Jack Compton Rose Gannon. Son of John Gannon, of St John's College, Cambridge. Married ((09? ).1910, St Marylebone district, London) Dorothy Mary Robertson (17.10.1883 - 28.03.1971), daughter of George Robertson, of Melbourne; one daughter. Education: Sutton Valence; Royal Military College, Sandhurst. Manager, Hurlingham Club, 1934-1939; Honorary Secretary, Hurlingham Polo Association, 1934-; President, Arab Horse Society, 1951; President, National Pony Society, 1954-. British Horse Society's Medal of Honour, 1970. Son of ... Gannon, and ... Murphy. Married 1st ((03? ).1944, Edmonton district, Hertfordshire / Middlesex / Essex) Elisabeth Allen; ... children (one son?). Son of Thomas and Millicent Garbett, of Crynant, Glamorgan. Married; one daughter, one son. Education: Henry Mellish Grammar School, Nottingham; University College, London (Andrew's Scholar; Hons French); BA, MEd, Nottingham University. Assistant Master, Ilkeston Grammar School, 1948-1950. Assistant Master, Manchester Grammar School, 1950-1954 (teaching French, English and RI; Borrwodale; in charge 3rd XI Soccer). Founder Headmaster, Boreham Wood Grammar School, 1954-1961. (Last) headmaster of Scarborough High School for Boys, 1961-1974. First principal of Scarborough Sixth Form College, 1974-1979. Organist at Scalby Methodist Church for 25 years until 2002. Only son of John James Maitland Gardner (died 1945), and Alice Morley. Education: Charterhouse (1927.3-1933; Saunderites House); Clare College, Cambridge (1933-1940; BA 1936, MA 1940). Director, A. Gardner & Son, house furnishers & furniture manufacturers, Glasgow. Member, Trade Wages Council representation of Scottish Employers, 1950-1954. President, Scottish House Furnishers' Association, 1951-1954. Member, Council of Industrial Design (Scottish Committee), 1951-1954. Chairman, Kinross & West Perthshire Unionist Association, 1960-1965. Son of Horace Garner, and Ethel May Bosomworth. Published: (with G.A. Briggs) Amplifiers, the why and how of good amplification (1952). Son of ... Garner, and ... Lea. Struck off the Roll of Solicitors of the Supreme Court due to conviction (18 months prison) for embezzlement, 02.04.1964. Son of ... Garner, and ... Waite. Afghanistan NW Frontier 1919 Medal & Clasp. Belgium Order of the Crown (WW I) ? Son of Capt. Richard Hart Garstin, CBE, RIN, and Mary Amelia Bannister. Husband of Susan Nicola Garstin, of Canterbury. Son of Dr. Patrick Joseph Garvey, MB, ChB (1878-), and Anne Cassandra Colston. Son of Sir Alvary Douglas Frederick Gascoigne (1893-1970), and Sylvia Wilder. Son of James Gash, and Henrietta Syme Whitworth. Son (with one brother and two sisters) of Maj.Gen. Sir Herbert Stuart Gaskell, KCB, DSO and Bar (1882-1957), and Sybil Ann Louise Hudson (1880-1965). Eldest son of late John H. Gawthorpe, Roundhay, Leeds. Married (1915) Clarice Turner (died 1956), Roundhay; one daughter. Honorary Colonel, 12th/13th (Yorks) Battalion Parachute Regiment (TA), 02.04.1949-12.11.1956. President, 1940 Dunkirk Veterans' Association, 1975-1976. Son of Henry Leslie Geare (1886-1965), and Marjory Violet Watherston (1882-1969). Son (with three sisters) of Harry Percy Gee (1874-1962), and Augustine Flora Paget (1879-1919). His daughter writes: "We believe he first served with a unit in London, anti-aircraft, then was on the staff in Hamburg." Married (16.05.1942); ... children (one daughter?). T/Maj. & Staff Paym. 2nd cl. Son of Maj.Gen. J.J. Gerrard, CB, CMG. Son of Ernest Gibbs (1877-1934), and Constance Mary Shelmerdine (1880-1961). Son of ... Gibson, and ... Smith. Education: Charing Cross Hospital; MRCS Eng, LRCP Lond 1943; FRCS Eng 1952. Research Assistant, Institute of Urology, University of London & Clinical Assistant, St Paul's Hospital, London. Worked in Australia (Broken Hill, NSW). 04.07.1973 - 04.07.1978 Honorary Colonel, Birmingham University, Officer Training Corps, T.A.V.R. Only child of Frederick Giddings. Son (with one sister) of Cyril Percy Giddings (1894-1962), and Iris Victoria Finniss (1903-1987). Married 1st ((03? ).1951, Southend-on-Sea district, Essex) Joyce M. Clark. Son of George Campbell Giffard, Englefield Green. Married (1915) Evelyn Norah (died 1964), daughter of Richard Margerison, Winchester; one daughter. Colonel, The Queen's Royal Regiment (West Surrey), 01.05.1945-28.09.1954. 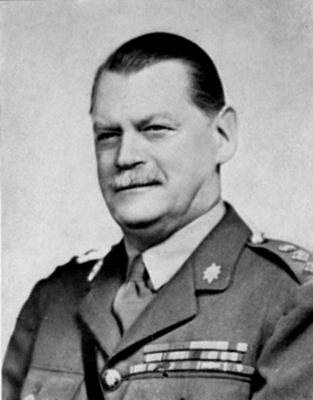 Colonel Commandant, Northern Rhodesia Regiment, 08.06.1945-28.09.1954. Inspector General, The King's African Rifles, 13.10.1936-01.07.1939. Inspector General, Royal West African Frontier Force, 13.10.1936-1938 (Colonel Commandant 08.06.1945-28.09.1954). Married ((03? ).1941, Westminster district, London) ... Gerrard. 1911 ? Member of Daily Express Coupon Department, General Accident Fire & Life Assurance Corporation Ltd., Aldwych, London. Son of Frederick William Giles and Margaret Mary Maud Palin Giles (née Evans), of Gordons, Almondsbury, near Bristol. Brother of Capt. John F. Giles, The Gloucestershire Regiment, and of Sq.Ldr. David Giles, RAF. Brother of Capt. Bruce T. Giles, The Gloucestershire Regiment, and of Sq.Ldr. David Giles, RAF. Army Heavyweight Boxing Champion, Southern Command. Only son (with two sisters) of Arthur Vesey Meade, 5th Earl of Clanwilliam (1873-1953), and Muriel Mary Temple Stephenson (1876-1952). Palestine 1936-39 Medal & clasp Education: Eton; Royal Military College, Sandhurst. Deputy Lieutenant, Co. Down, 1957-1962. HM Lieutenant, Co. Down, 1962-1975. HM Lord Lieutenant, Co. Down, 1975-1979. OStJ, CStJ 1975. Son (with one brother) of Herbert Edward Hopper Gill (1883-1961), and Beatrice Victoria Andrews (1887-1963). His son writes: "He joined the 4th Battalion The Queen's Royal Regiment (TA) as a private just before the war, which became 127th Light Anti-Aircraft Regiment, tasked with defending a number of RAF fighter bases in South East England. During the early years of the war he was promoted to Bombardier and then to Sergeant. He attended Officer Training School in North Wales in 1942 and was commissioned into the Royal Artillery. He then transferred to the Infantry joining the Royal West African Frontier Force (6th Gold Coast Regiment) as a Platoon Commander. He ended the War as a Major in command of 17th West African Independent Infantry Company. He then joined the re-formed Territorial Army in 1947 as a Battery Commander and was promoted to Lt Col in 1960 as CO of 565 LAA Regiment RA (4th Queens)." Son of late Brig. Gordon Harry Gill, CMG, DSO and Mrs Doris Gill, Rochester, Kent. Married (1963) Elizabeth Vivian Rohr, MD, MRCP (died 1990), only daughter of late A.F. Rohr; no children. Honorary Liveryman, Coachmakers' Co., 1974. Colonel, 4/7 Royal Dragoon Guards, 1973-1978. Education: Bedford School (09.1934-04.1936; won the Feather Weight competition in the junior house boxing competition in 1936). Son of Bernard George Gillett, OBE, Milford on Sea, Hants. Married (1952) Pamela Graham (died 10.01.2007, aged 95), widow of Col. Rhodri J. Lloyd Price and daughter of Col. Spencer Graham Walker, Winsley, Wilts. Secretary, Central Chancery of the Orders of Knighthood, 1968-79. Colonel Commandant, Royal Regiment of Artillery, 1968-78. Governor, Military Knights of Windsor, 1980-89. Son of ... Gilling, and ... Tipton. Son (with one brother and two sisters) of Alfred John Gillis (1893-1966), and Sarah May Irvine (1893-1959). Education: Aberdeen University (Private, Junior Division, Officer Training Corps). Son of John Herbert Gilmore, and Lily Emily Butcher. Solicitor. Awarded the Hampshire Law Society Prize, 1939. Only son of Reginald John Gladstone (1865-1946), Doctor of Medicine, and Ida Millicent Field (1877-1968), of Dulwich. Son of Charles John Francis Campbell, and of Zoe Florence Bradshaw. Married (04.09.1939, Glasgow [civil] & 02.02.1940 Holy Trinity, Brompton, London [religious]) Charmian Cecil de Vere Brinton (03.05.1919 - 28.03.1962), of Kensington, London, daughter of Cecil Charles Brinton (1883-1970), and Kathleen Cecil Maude (1881-1954); one daughter, one son. Charmian Glencairn-Campbell remarried (24.04.1947) Sir Robert Henry Muir Mackenzie, 6th Bt. Waziristan 1921-24. Despatches 13.03.1925. Medal and CIasp. OBE. Burma 1930-32. Despatches 20.12.1932. CIasp. Palestine 1936-39. Despatches 15.09.1939. Medal and CIasp. Education: Staff College (psc). Son of David Glieberman (1888-1971), and Sarah Greenstone (1892-1968). Education: University of Birmingham; attended a Company Commander's course at the Tactical School, India (Junior Wing). Special language skills: elementary Urdu. Son of Kenneth Septimus Glover (1879-1959), and Jessie Mabel Little (1880-1945), of Stourport. Married (03? ).1938, Cardiff district, Glamorganshire, Wales) Everilda Marie Hennessey Turnbull (25.10.1908 - 09.1990), daughter (with six brothers and one sister) of Philip Bernard Turnbull (1874-1930), and Annie Mary Hennessy Oates (1879-1942); one son. Education: Sherborne School (1925.3-1929; Harper House; VI, XI 1928/29). Insurance broker. Played cricket for Glamorgan (1932-1938). Only son and younger child of late Maj.Gen. Sir Frederic Manley Glubb, KCMG, CB, DSO, and Frances Letitia Bagot. Engaged (1934) Mary Dorothy "Molly" Turner, only daughter of Mr H.A. Turner, Director of Customs, Transjordan. Married (1938) Muriel Rosemary Forbes, daughter of Dr James Graham Forbes; one son, and one son, two daughters adopted. Became Administrative Inspector, Iraq Government, 1926; transferred Transjordan, 1930 [up till 15.05.1948 under Colonial Administrative Service, from then employed by the Government of Transjordan]. Published: Story of the Arab Legion, 1948; A Soldier with the Arabs, 1957; Britain and the Arabs, 1959; War in the Desert, 1960; The Great Arab Conquests, 1963; The Empire of the Arabs, 1963; The Course of Empire, 1965; The Lost Centuries, 1967; The Middle East Crisis-A Personal Interpretation, 1967; Syria, Lebanon, Jordan, 1967; A Short History of The Arab Peoples, 1969; The Life and Times of Muhammad, 1970; Peace in the Holy Land, 1971; Soldiers of Fortune, 1973; The Way of Love, 1974; Haroon al Rasheed, 1976; Into Battle: a soldier's diary of the Great War, 1977; Arabian Adventures, 1978; A Purpose for Living, 1979; The Changing Scenes of Life (autobiography), 1983. Literature: Benny Morris, The road to Jerusalem : Glubb Pasha, Palestine and the Jews (2002). * During the operations in Iraq, Major Glubb, in command of the mechanized portions of the Arab Legion, was an inspiration to all those who worked with him. He led many forays behind the enemy lines, harassing their communications and destroying railway lines. In the Syrian operations Major Glubb has again been forward in action. In July his force was attacked by a mechanize enemy column. Despite being under heavy machine gun fire he at once personally organized a spirited counter-attack, which resulted in the complete rout of th enemy and the capture of about 80 prisoners and much war material. A "bonny fechter", his name in the desert is one to conjure with.